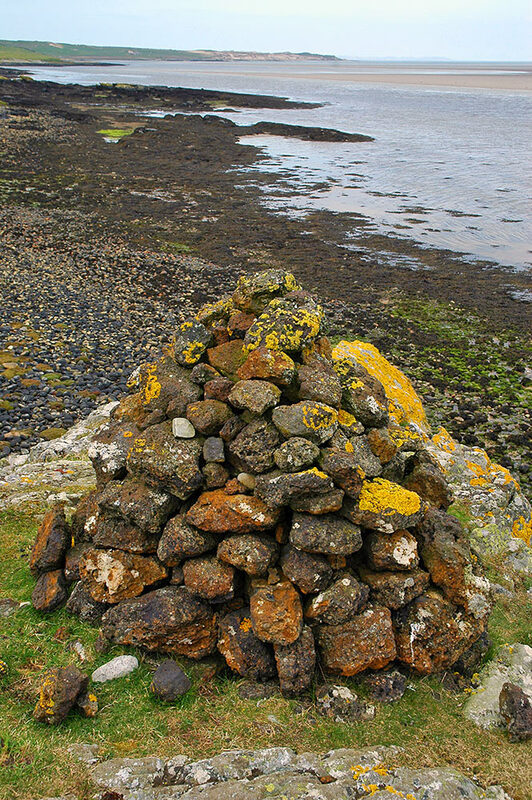 A small cairn someone had built near Kilnave on the shore of Loch Gruinart. Spotted during an Islay walking week walk many years ago. 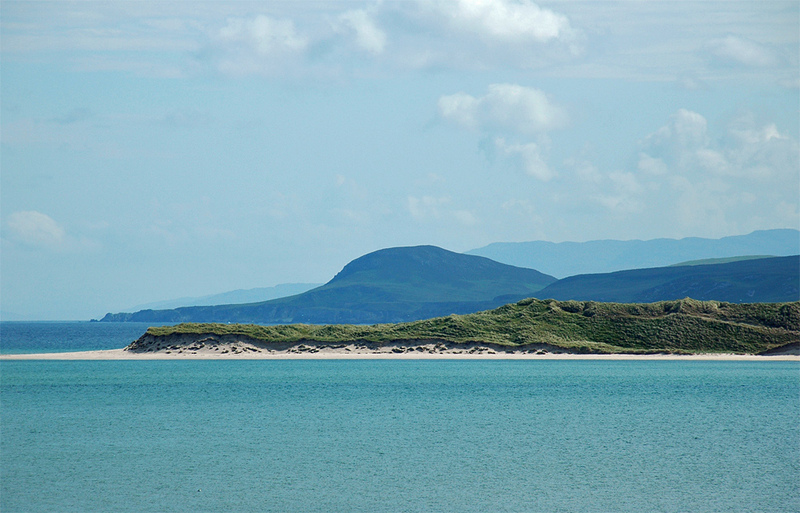 The dunes at Ardnave in the distance. A view across Loch Gruinart from the Killinallan side, Kilnave with the ruined chapel towards the right. A large number of Seals is resting on a sandbank in the loch.